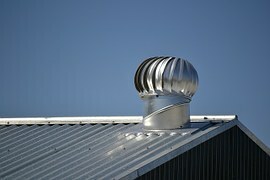 ​Keeping Roof's Sturdy & Heads Dry! Service . Repairs . Inspections . Hello friends, how ya roofin' these days?​ We're glad you found us, and lucky for you, you've come to the right place! You needn't look any further for your residential and commercial roofing services. We here at Folsom Roofer Pro's pride ourselves in on maintaining our outstanding reputation. We do it all from inspections, roof installations, repairs, and replacements. We have seen everything from catastrophic collapse to a leaky linings, and anything you can think of in between. Our Folsom roofing contractors have been in business for a number of years serving the local communities surrounding Folsom and are roofing veterans. We are proud of our sturdy reputation for honesty, fairness and great work ethics. Our Folsom roofers get the job done right the first time and are licensed professionals helping you every step of the way. We use only the highest quality roofing materials to ensure years of solidity to come, providing maintenance and roof repairs as needed,(because everyone wants to keep their heads dry!) All of our Folsom roofing experts have years of experience, so you can count on us to educate you in the field for a better understanding of what your specific needs are. so when you're searching for the best roofing companies in Folsom, and want to know all about roofing, we've got you covered! ﻿To maximize the life of your roof, we make sure to provide quality roofing services, the best roofing products out there, expert roofing craftsmanship, and the ideal roofing system for your needs. 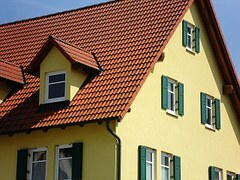 We treat your home as our home and provide professional roofing services accordingly. We maximize our efforts with providing roofing inspections to determine your specific needs. Do not let a roof leak go unattended. Let us come inspect it for you. When reviewing all your local roofing companies, keep in mind that experience matters. Rest assured that you have chosen the best roofing contractors in Folsom, with years behind them in service and they're with us, the best roofing company in Folsom, California. 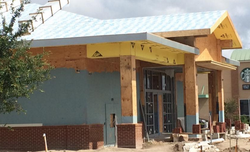 Everyone wants what's best for their facility, and quality roofing is vital to the overall integrity of the building. We are capable of Prolonging the life of your roof with roofers who have the knowledge and years of service in the industry. Commercial roofing can be more extensive than residential roofing and takes great care and detail to deliver phenomenal results. We take into account attention to detail when providing a full roof inspection to be able to deliver the right roofing system advised. Our mission is to take great care of our clients not only from start to finish, but for years to come. You'll be pleased with our dedication to excellence, safety and professionalism throughout your whole experience.Even if it's a simple gutter service you need checked out, we're happy to help. Hose down your roof to check for leaks. Keep your gutters clean! Rakes can cause damage, we recommend a leaf blower. Dry rot indicates lack of ventilation, not necessarily water damage. Call us if you suspect an issue. Proper shields for rain, snow and ventilation will prevent ice build up. Cracked dried up roof boots? Easy fix! Pick one up at your local hardware store and replace it to prevent major leaks. You can depend on us rain or shine for all of your roofing services in Folsom, CA and surrounding areas. We're here for you. If you suspect that you're in need of some sort of roofing repair as your roof may be in poor condition, call us out for a free in home roofing inspection and roofing quote. Common roofing issues include, roof leaks and moisture, blow-offs, tenting and billowing, poor installation, lack of workmanship, lack of maintenance, ponding stagnant water, shrinkage and blistering. Our contractors will come out to your home or business and offer suggestions and address any concerns that they may come across concerning your roofing services. The benefits of a roof repair service is saving money, while solving the problem before it gets larger. It keeps the integrity of the roof intact, it keeps your roof looking new and offers a peace of mind knowing it is being well maintained. Preventative maintenance is necessary to keep your roof durable for years to come. Neglecting even the smallest issues can in turn rob your pockets, as repairs can be extensive. Don't let this happen to you. It's better to have to repair a few shingles or have a simple gutter replacement service than it is to deal with wood rot that the rain got to. Don't hesitate to call us for any type of emergency roofing service in Folsom and the surrounding areas. Search all the galaxy and you'll see that we're your elite roofing company! Call 916-571-0678 right now, and mention this website and we may just throw in a little something extra!